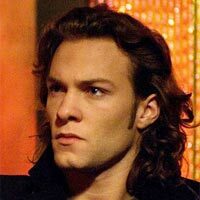 Well, the fang fans have spoken and the winner of the Favorite Fang Poll is Kyle Schmid, who plays 450 year old vampire Henry Fitzroy on Lifetime TV’s Blood Ties with 56% of the votes (101). 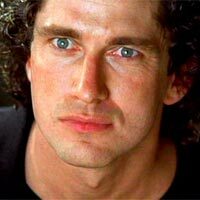 Second place goes to Gerard Butler for his role in Dracula 2000 with 29% of the votes (53). 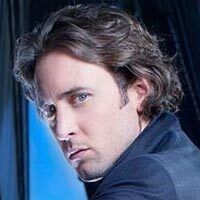 Alex O’Loughlin from the new CBS show Moonlight takes third place with 9% of the votes (17). I really thought Alex O’Loughlin would have garnered more votes since Moonlight is turning out to be fun show. In fact, I’ve been enjoying Moonlight as well as Blood Ties. Thank you everyone who voted! Please stay tuned this Friday for a Blood Ties related Danger Gal Friday post. Hey Dangergirl, this was waaaay fun and Kyle so deserves the praise. As Henry Fitzroy he’s amazing and I’d let him feed from me if he needed a fix 🙂 Thanks for letting us play it was fun. I too have checked out Moonlight and it’s cool although Henry’s got my heart. I look forward to your next Blood Ties post. Come visit us at Ms.Gypsy’s anytime. Hi Dangergirl: Thanks for the opportunity to vote for our favorite vamp. Kyle plays the part perfectly. I don’t know of a sexier vampire anywhere, past or present. And I guess the fact that Henry is King Henry VIII son’s just makes him more regale in his role. I tried watching Moonlight but alas Henry has my heart, soul, and neck if he wants it. lol. I’m sure Henry/Kyle has plenty of women asking him to bite their neck. The door is always open at Ms. Gypsy’s for you. I adore Alex O’Loughlin! I’m sure, as time goes by, he’ll garner more and more well deserved attention! Long live MOONLIGHT! Thanks ladies! I’m an equal opportunity fangirl, so I hope both shows do well. They’re in different time slots and really have different angles on the vamp PI thing, so I don’t see them as competing. Now if they moved BT up to 10, I could watch one right after the other! I haven’t had a night like that since Buffy and Angel were on.